Festivals. People love festivals, don’t they? The first festival I ever attended was Leeds in 2000. I remember being too scared to go to the toilet the entire weekend, and the only thing I ate was candy-floss. I think Oasis were headlining the final night. Stepping out of my friend’s tent the next morning, the campsite looked like a war-zone, with toilets pushed over and set on fire, people screaming, and helicopters flying over-head. 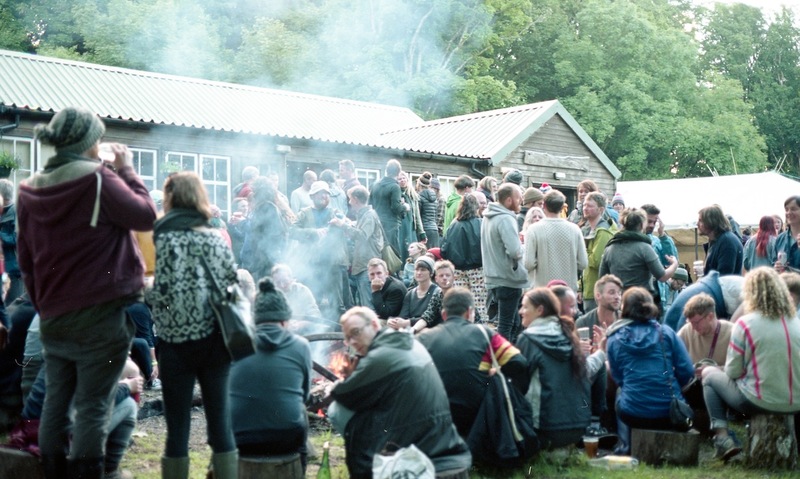 It took three years until I plucked up the courage to go to another festival - the inaugural Green Man Festival in the Brecon Beacons of Wales, in 2003. I was a member of the Fence Collective at this time, and we were scheduled to play. More than anything else, in the weeks leading up to the show I was totally dreading the task of putting up a tent. I had no idea what tents were actually made of, let alone how to construct one. I borrowed a tent from my friend Ben which weighed an absolute ton, and turned out to be an old boy-scouts tent with lead pipes instead of tent poles. Thankfully, I’d drunk too many ciders, and so have no memory of how the tent actually managed to erect itself. Certainly wasn’t my doing. That first Green Man Festival was perfect. I think the organisers were using the word ‘festival’ in a slightly ironic way, as it was only one day of music, and about 300 people? Like I say, perfect. Needless to say, I was hooked - and have been to every Green Man Festival since. All 16 of ‘em. It’s the best weekend of the year. Quite a different scale of event nowadays, though - four days of music, and I think 20,000 people - but it still somehow retains that feeling of being intimate, with a diverse and well curated line-up that always means you’ll discover something new. I strongly recommend it if you’ve never been. Back in 2003, though, and on the long drive back up to Scotland we were all discussing how we could put on our own event. I’d just begun working full time with Fence Records, in charge of organising live shows, initially - and i got straight to work devising our own ‘festival’. First things first, I wanted to make sure I didn’t have to put up a tent. Much easier to put on an event if you can go back home at the end of the night, and pass out on your own bed. Thus, in 2004, Home Game was born. We were all living in fishing villages scattered around the East Neuk of Fife at that point, and there’s lots of rental holiday homes that lie empty outside of tourist season - so plenty of accommodation for folks traveling from out of town. There was a wealth of small bars and community halls, too - ideal spots for intimate performances. Location is really the key element of a successful festival, I reckon. You want to instil a sense of escapism, take your audience and those performing on a journey. Whether it’s the back room of a pub in a sleepy fishing village, a ceilidh hall on a remote island, or even a disused theatre space in the middle of a city - it’s about taking people somewhere they haven’t been before. Once you’ve got that element sorted, the rest kinda jigsaws together fairly naturally. Of course, the music is important, but presumably if you’re putting on an event you’re a fan of music, and can let your taste guide you. It’s vital that you follow your instinct, here. One of the most fun aspects of putting together a festival is writing down a time-table for the whole weekend, putting in set-lengths and all that - making sure to leave enough time between performance times for acts to get off stage and allow the next act to set up (minimum 30 to 40 minutes changeover time, I reckon) - and then filling in the timetable with a wishlist of who you’d like to play, and who you think would go down best at specific times of day. Who you want to be there. It is also important to keep in mind that you should work with people who WANT to be there, who want to make your event happen, and with people who will want to help you. This brings me to another essential ingredient. Friends. You need ‘em. 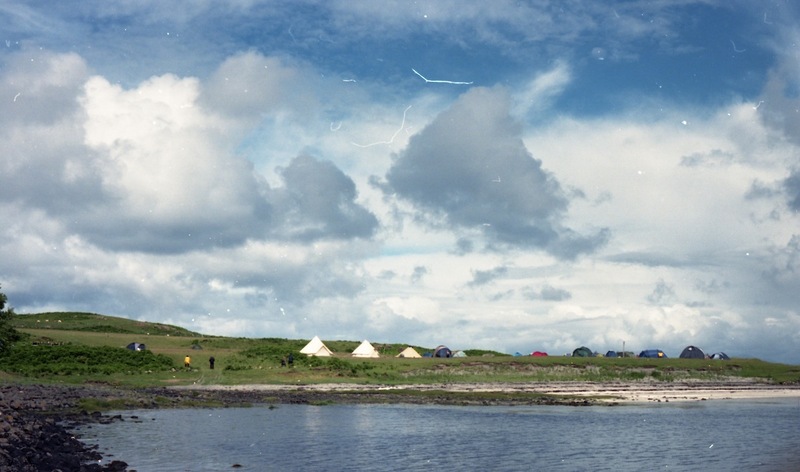 Almost nine years ago, I moved to the Isle of Eigg in the Hebrides - not the easiest place to get to. The distance made seeing mainland friends regularly a lot more difficult, but the island itself became an obvious choice for putting on a music event, and a great excuse to invite all my pals up. Away Game came into existence in 2010, and mutated into Howlin’ Fling! when I started my own label - Lost Map - a few years later. Without the support of my friends, I wouldn’t be able to do what I do for a living, and when it comes to booking the Howlin’ Fling!, they are top of the list. The Lost Map roster is made up of people whose music I love, and who are all wanting the events and releases we create to happen. Friends help me organise the event, they run the bar, provide catering, manage the sound and lighting requirements - it wouldn’t exist without them. Plus it’s the most joyous thing in the world to put together an event on a remote island, where we’re all together and having a party. That sense of community is really where your event’s identity lies. 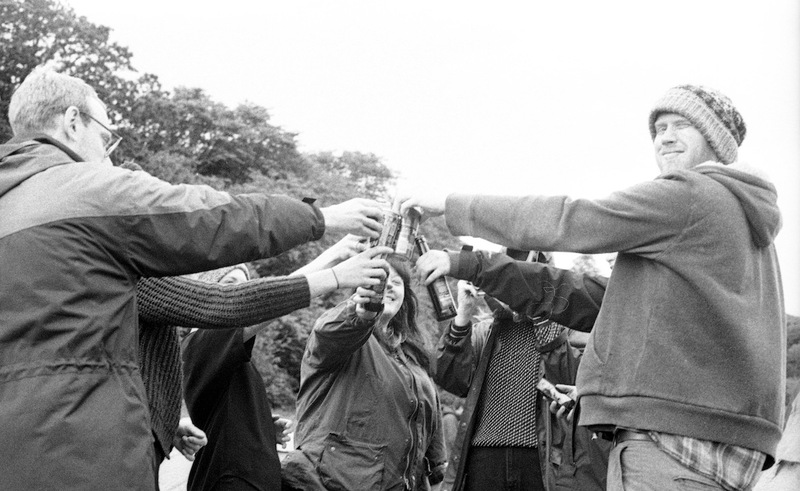 In addition to the Lost Map team, and our roster of artists, the people of Eigg have been so welcoming and supportive - and the story of this island’s independence is something that rings true with the overall spirit of the event. All the best festivals I’ve played - from boutique micro-festivals like Iona Village Hall Music Festival and Cloudspotting, to the bigger events like Green Man, Bestival and even Glastonbury - were borne out of a similar community spirit, and it makes it something you want to become a part of. This is both true as an audience member, and as a performer. We’ll be announcing our next Howlin’ Fling! on Eigg on Monday January 14th. If you get a ticket, you should bring a tent. I’ll be staying in my home, of course. Stay in touch with Lost Map online HERE. 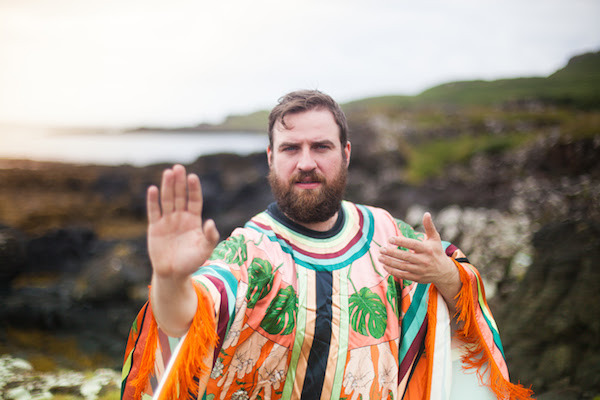 Stay hello to Pictish Trail on Twitter.